If the results of a recent central government inspection tour of universities in and around Nanjing are any indication, some local officials here might need some further schooling. Since the beginning of this year, Jiangsu has been the target of a number of probes, from anticorruption investigations to checks on the state of political discipline. There’s nothing public to suggest that anything especially untoward is occurring here; it’s just Nanjing’s turn to be inspected, part of Beijing’s general crusade against graft. That’s not to say that all’s been found to be well in Jiangsu generally: the vice-governor of the province was formally placed under investigation earlier this month. Rumors abound of some local officials suddenly missing, or being taken away for questioning. And now it’s the administrators of a number of Nanjing’s universities who’ve been cited as being out of synch with what the central government wants to see. But here’s the interesting part, at least from a local perspective. It’s not just the taking of the odd bribe that some party officials have been accused of soliciting. Instead, they’re charged with having lost control of the campuses they’re supposed to be supervising. 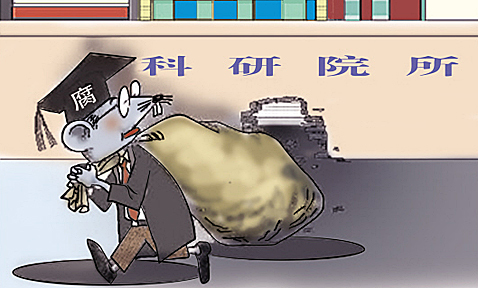 The report says that “institutions of higher learning should be a quiet place to cultivate excellent talents and carry out academic research.” Unfortunately, according to the findings of investigators in their inspection of 24 universities in Nanjing, some colleges here are “disaster areas” [重灾区]—the direct result of shortcomings in the behavior of some Communist party cadres who are ostensibly in charge of running these schools. What the report portrays as “the weakening of the leadership of the party, inattention to Party building, and a lack of discipline” produced problems at other local colleges. The inspectors found that the former president of Nanjing Institute of Physical Education “engaged in autocracy, influenced decisions [after he left the post], and created circle of interests that resembled a gang.” Likewise, the report charged that Jiangsu Vocational College of Nursing was run by a “small circle” of administrators—essentially a clique, which meant that “political consciousness was weak”. That’s party code for a lack of supervision over cadres; decisions made on the basis of personal ties, not party directives. For example, inspectors discovered that the hiring of research and teaching staff at one of Changzhou’s technology institutes was rife with nepotism. The absence of oversight also produced corruption in its usual form, the media account of the report notes. Administrators and faculty at the Nanjing Institute of the Arts, for example, purportedly accepted money from parents to place their children there; educators at some others campuses went outside the normal application channels to recruit and enroll students in exchange for commissions. Various personnel at Changzhou Light Industry Vocational and Technical College are alleged to have used admission fees to buy shopping cards, tobacco, tea, and other gifts for themselves. Larger instances of graft also occurred, according to inspectors. Jiangsu Provincial Academy of Educational Sciences, Nanjing Railway Vocational and Technical College didn't bother to engage in an open bidding process when they received permission to upgrade the existing campus and build new facilities. Some members of Jiangsu Vocational College of Commerce, according to the report, “used their powers to accept bribes”, while “some leading cadres” at Nantong University were found by inspectors to have intervened in unspecified but apparently illicit ways during the construction at that school. The inspection team also found a number of cases of misconduct where research projects were concerned, including using funds to pay personnel who weren’t part of any project. Budgeting and auditing was lax, as was reimbursement oversight—this was where “the greatest level of deception and secrecy took place,” according to the summary of the report that appeared in the Chinese media. In all of the instances above, the report notes, the problem was with the Party. Some leading cadres simply stopped doing their job. Even if they aren’t directly charged with soliciting or accepting payments or positions or promotions, it’s Party officials who are responsible for oversight, accountability and discipline. After all, Party secretaries run universities and colleges; party committees are responsible for supervising faculty, the curriculum, and the campuses that professors teach at and students study on. No one thinks that control is absolute; it isn’t anyway. But the report, courageous in its own right, is a damning indictment, because it’s meant to be—a wake-up call for some cadres who've haven't been doing their assignments. There are two larger issues here, perhaps best seen from a local perspective. First, the schools cited for malfeasance and other forms of malpractice here in Nanjing are vocational colleges and universities. They’re the ones that constitute the bulk of educational expansion in China, which in the last twenty years has grown nearly eight-fold. They offer students who don’t test into the elite or middle-range schools the opportunity to acquire a 3-year degree--one that is even more narrowly focused than their counterparts at better-regarded colleges. Administrators at upper echelon universities are focused on building their brand, controlling the curriculum, attracting research funding from Beijing or overseas, and responding to the latest central government directive. Clearly, some officeholders and bureaucrats at lower-tier schools have their minds elsewhere. That’s a problem for Party cadres as more and more students from other than upper-class origins seek educational opportunities. So, while the traditional model tends to see student unhappiness in China as emerging from leading universities where professors and enlightened undergraduates want more academic freedom, a more likely source of discontent could well be found at these vocational schools—that is, if the Party doesn't do something about the way some of these schools are being run. Clearly, it wants to. The second point is this: One of the hallmarks of President Xi Jinping’s tenure has been an effort by Beijing to instill more ideological content into China’s political and social life. His ongoing prescription for China—and Chinese education in particular--is more socialism and more than just a little Marxism. It’s not clear how that initiative will play out here in practice. But it’s going to be difficult for the Communist party to better control education on some of China’s campuses when some of their own officials are having difficulties just supervising basic administrative operations. China’s school year is over for students very soon. New classes for some cadres, on the other hand, appear to just be starting.